The Mauken Precambrian basement window in southern Troms is situated approximately midway between the West Troms Basement Complex (WTBC) and Altevatn–Dividalen basement areas. Work in the Mauken window is part of a NGU project focusing on the basement areas with the main goal to work out a structural–tectonic–metallogenic model and interpretation for the whole region. The window comprises a central unit of metavolcanic and metasedimentary rocks – the Målselva Group, bounded by mainly felsic intrusive rocks to the west, the Andsfjell–Kampen intrusions, and a very diverse suite of intrusive rocks in the east, the Øverbygd intrusions. Ages obtained (U–Pb on zircons) on the intrusions range from Neoarchaean to Palaeoproterozoic (2836–1892 Ma). Geochemistry of the greenstone unit in the Myrefjell formation of the Målselva Group indicates an arc/back-arc affinity. The upper part of the Målselva Group, the Aurevatn formation, consists of clastic sedimentary rocks such as siltstone and sandstone, partly forming turbiditic units. On this basis, the Målselva Group must have been formed close to a continent. A granodiorite intruding the greenstone was dated to 2108 Ma, meaning that the lower part of the Målselva Group is Palaeoproterozoic or older in age. Regional magnetic data indicate that the most likely continuation of the Mauken window under the Caledonian nappes is to the area between Senja and Kvaløya of the WTBC, and the Astridal and Torsnes belts of supracrustal rocks. The only significant gold mineralisation found in the Mauken window is the so-called 'Main Zone', which is localised in a sand-/siltstone unit close to the contact to underlying greenstone. Goldis associated with and strongly correlated with arsenic. One possible source of the gold and arsenic in this setting is carbonaceous sediments, which are known to concentrate different metals in early formed, diagenetic iron sulphides. A possible formation model for the deposit is that gold, arsenic and sulphur were released from the diagenetic sulphides because of recrystallisation during metamorphism, and that the resulting fluids followed structural pathways, e.g., along or close to the greenstone-sediment contact, and deposited the metals higher up in the sequence. With the size andgold grades of the mineralised zone known today, the mineralisation is not economic. 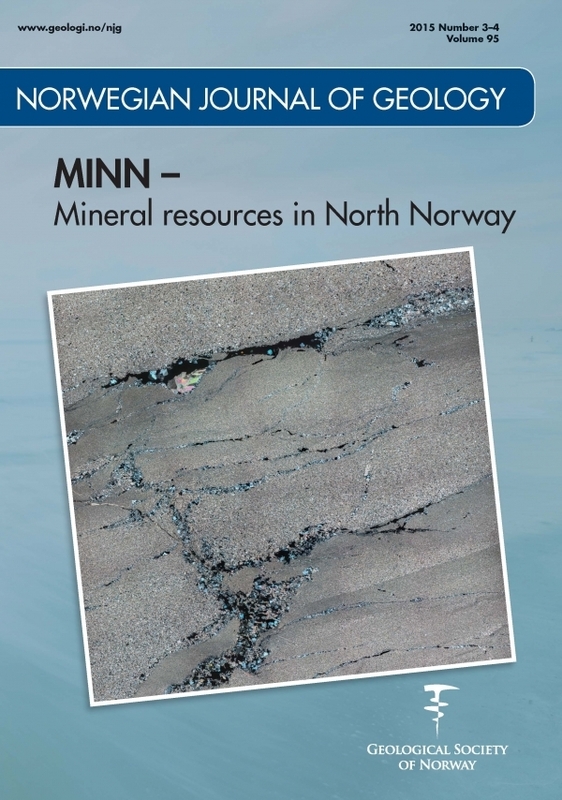 In the Rombak Tectonic Window of northern Nordland there are some Au–As mineralisations which are associated with metagreywacke and metasiltstone. Those mineralisations have been suggested to be of orogenic type, related to shear zones and structures formed during the Palaeoproterozoic, but they also show many similarities with the Mauken mineralisation, suggesting that these too could have formed in the same way.